Dreadlocks and Title VII’s Definition of Race | Kalijarvi, Chuzi, Newman & Fitch, P.C. Chastity Jones’ employment with the customer service company Catastrophe Management Solutions (CMS) ended before it began when she refused to remove her dreadlocks. She charged discrimination based on race under Title VII, but the trial court dismissed the case under Fed.R.Civ.P. 12(b)(6). Last month, the Eleventh Circuit affirmed that decision, issuing an opinion that broke no new ground as to grooming policies under Title VII, but which raised substantial questions as to when a grooming policy may implicate the protections of Title VII. Equal employment opportunity may be secured only when employers are barred from discriminating against employees on the basis of immutable characteristics, such as race and national origin….But a hiring policy that distinguishes on some other ground, such as grooming codes or length of hair, is related more closely to the employer’s choice of how to run his business than to equality of employment opportunity…Hair length is not immutable and in the situation of employer vis a vis employee enjoys no constitutional protection. If the employee objects to the grooming code he has the right to reject it by looking elsewhere for employment, or alternatively he may choose to subordinate his preference by accepting the code along with the job. Willingham v Macon Tel. Pub. Co. Relying on Willingham, the Eleventh Circuit in Catastrophe Management Solutions held that Ms. Jones’ dreadlocks, like hair-length, were not immutable and were not protected under Title VII. 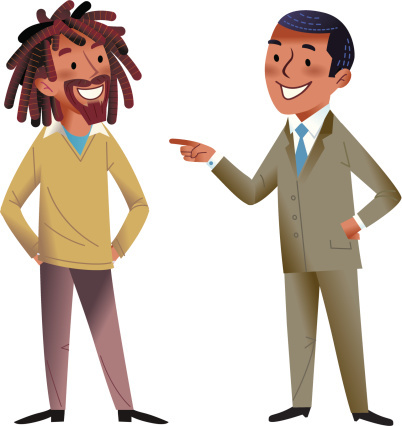 Plaintiff may be correct that an employer’s policy prohibiting the “Afro/bush” style might offend Title VII and section 1981. But if so, this chiefly would be because banning a natural hairstyle would implicate the policies underlying the prohibition of discrimination on the basis of immutable characteristics. An all-braided hair style is an “easily changed characteristic,” and, even if socioculturally associated with a particular race or nationality, is not an impermissible basis for distinctions in the application of employment practices by an employer. Rogers also noted that multiple courtshave upheld policies limiting male facial hair despite the fact that racially-linked differences made compliance with such policies more difficult for African Americans. In Catastrophe Management Solutions, the Eleventh Circuit raised the distinction between hair texture and hair style seemingly in order to consider whether dreadlocks were a “natural hairstyle” — like the Afro in Rogers — and so protected as a physically immutable marker of race. It observed, however, that the plaintiff “did not allege that dreadlocks themselves are an immutable characteristic of black persons,” and concluded that the fact that “dreadlocks are a ‘natural outgrowth’ of the texture of black hair does not make them an immutable characteristic of race.” Accordingly, when CMS asked Ms. Jones to cut her dreadlocks, the court held, they did not intentionally discriminate against her based on race. Without question, and as the court noted, “the distinction between immutable and mutable characteristics of race can sometimes be a fine (and difficult) [line].” In the end the Eleventh Circuit returned a decision in Catastrophe Management Solutions that was consistent with previous rulings on Title VII and hair style. Ms. Jones’ dreadlocks were mutable and, therefore, if she wanted to work at CMS she could choose “to subordinate [her]preference by accepting the [grooming] code along with the job.” Nevertheless, the court helpfully drew attention to a way forward for persons seeking Title VII protection for what are arguably “natural” hairstyles.